I was very excited to hear about Jeff Atwood’s new CODE keyboard. Here was a chance to get a real progammers keyboard by someone who understands programmers. 1. Coding keyboard with Multimedia keys?? The website says that the keyboard does ‘multimedia keys the right way’. Why would a coder’s keyboard have multimedia keys at all?? and a special key between Ctrl and Alt just dedicated for 'Auto Complete’ so we don’t have to hit Ctrl+Space ever again! But the CODE keyboard does none of that. The first, strong sign that it is indeed not for coders. 2. Function keys done 'right’? Wrong. And on to the second part of the 'done right’, the CODE keyboard uses a Fn key modifier and puts the said multimedia keys with the insert/home row of keys. It says the reason for that is so you don’t have an extra row of keys, and thats why they are done 'right’. Wrong. Everybody hates the damn Fn key. 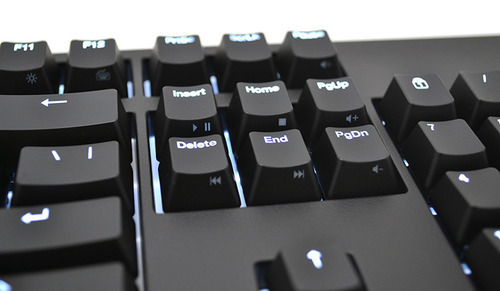 In fact the reason why manufacturers came out with the special set of keys on top of the keyboard was so that you dont have to use key combinations to use those functions. They are just one tap away. And the fact is, on desktop keyboards there is enough vertical space. Putting an extra row of keys at the top is perfectly fine. Its the horizontal space that is at a premium, and here the CODE keyboard does indeed do 'right’ by offering a non numpad version. A set of function keys specific to CODing functions like Build, Debug, etc described above would be right. Not what the CODE keyboard does. The only real way to 'Fn’ keys right is to get rid of the Fn key altogether, which the CODE keyboard does not. This is the very first thing most people notice and it makes it a deal breaker for a majority of the coders. Why would you make a CODing keyboard and not have it ergonomic is beyond comprehension. I even have trouble using my new macbook due to the non ergonomic nature of the keyboard, and this keyboard would do no favors. The CODE keyboard likes to tout the that you can press 9 keys simultaneously and it will register it. The fact is that if you have to press that many keys, you need a different job. This is a useless feature for 99% of the coders. This may sound silly, but… The website touts a lot about how robust the internals of the keyboard are. The only robustness a coder cares about in regards to a keyboard is whether it can withstand a coffee spill. No dice on that in this case I guess. The CODE keyboard is just a very expensive version of your standard keyboard that can make cool clicking noises (which some of your co workers may not find that cool). It doesn’t have anything that would actually be useful to a coder in real life…..